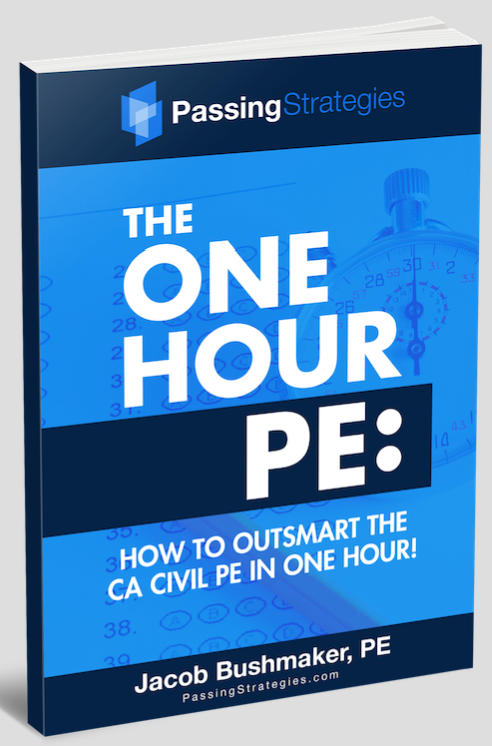 In the Fall of 2015, I studied for and successful passed the California Professional Engineering Exam, commonly referred to as the PE. The pass rate for first time takers of this exam is near 33%. 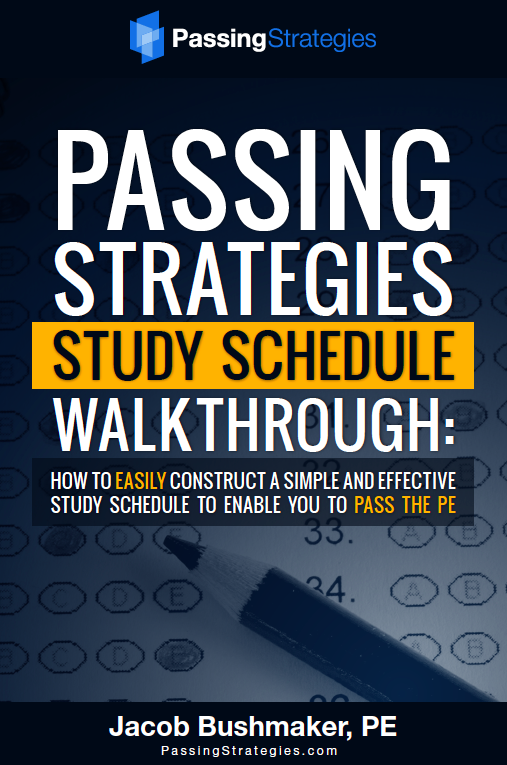 To help people pass the first time, like I did, I developed the following testing guides. The full course is on Amazon and is available for purchase here. The tripwire offer can be seen here.